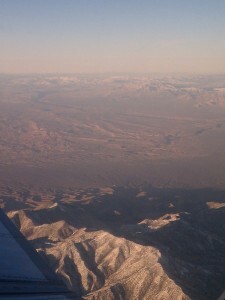 Live from CES 2011 in Vegas, I hooked up this evening with Gigabyte just hours after touching down on the desert runway. 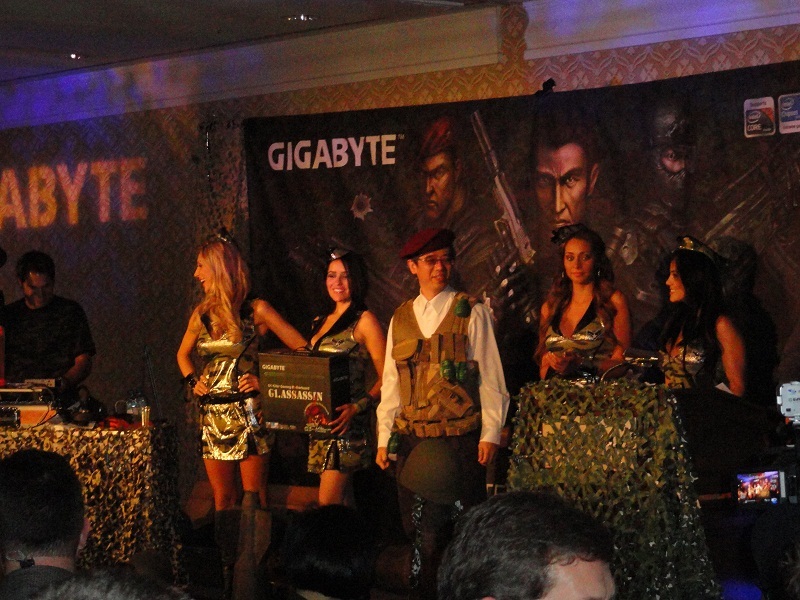 In the invite only press event, Gigabyte presented their marketing approach for 2011 along with the products designed to get them there. Their G1-Killer series took center stage, and I’m bringing you behind the scenes. With CES exhibits officially starting tomorrow morning, many companies haven’t been able to hold out and are already breaking news for their newest products of 2011. 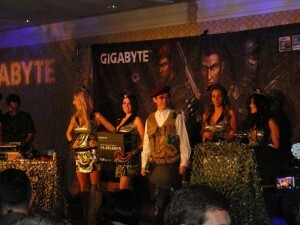 Gigabyte was no exception, and fortunately their kickoff event was conveniently scheduled just a couple hours after I flew in from Cleveland making it perfect timing for me to hit the ground running. 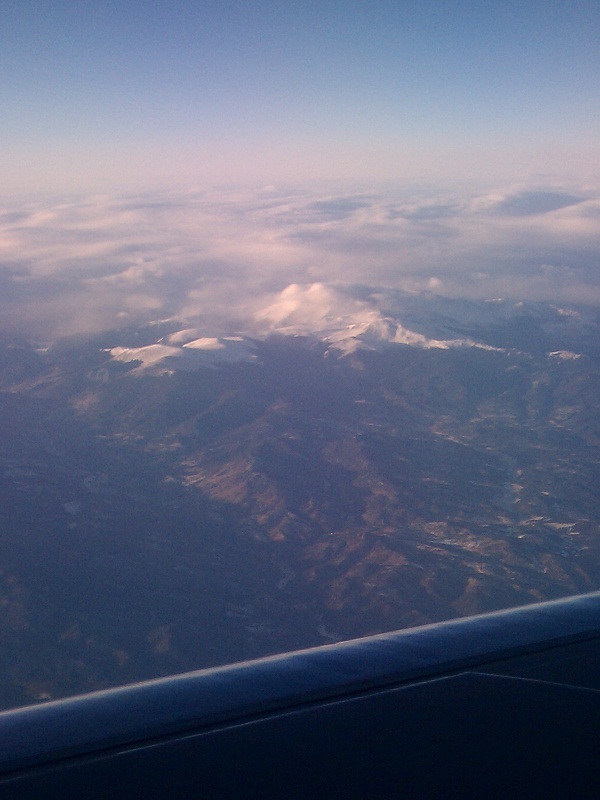 Before I hit the ground tho, I was flying over the Rockies… I recommend a window seat for those flying into Vegas for the first time, the view is out of this world! Reminds me of Total Recall! But once I touched down, it was down to business. And our business is overclocking! After some casual bclock talk sparked with a Gigabte Taiwan employee by Mike Moen, Senior Staff Engineer at Intel, my attention drifted a bit from the speakers talking marketing. 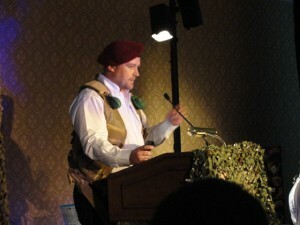 Recognizing that this was a kindred spirit direct from Intel I pried a bit about what his job focus is. 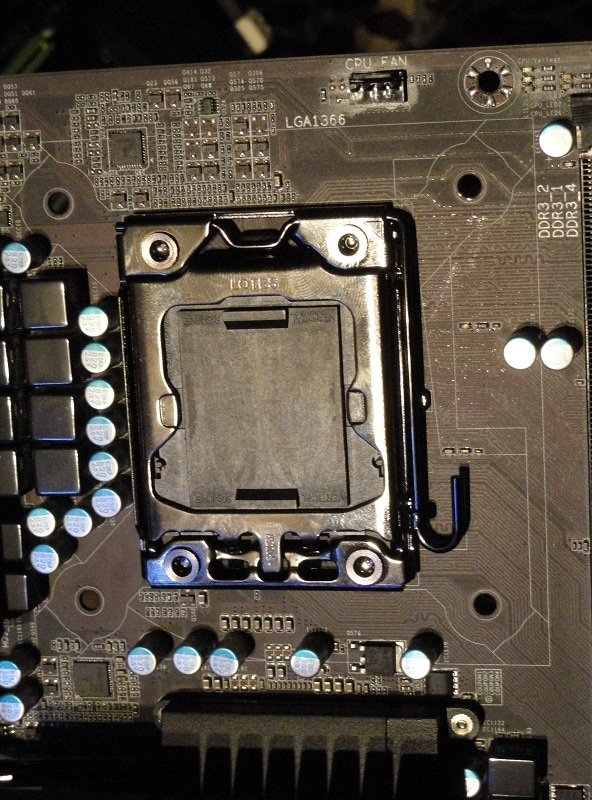 Turns out he’s part of an “underground” hardware junky overclocking usergroup within Intel! Thats only a slight embellishment to be honest. While it wasn’t the focus of my evening, we also talked a bit about his job focus and how he’s currently planning Intel’s approach for 2015 from the platform architecture perspective and works with manufacturers like Gigabyte to integrate new platform requirements into next generation motherboard products. I grabbed his business card and I’m looking forward to sharing more on that with you down the road. So now I’ve strayed a bit, but then this article is about CES after all. 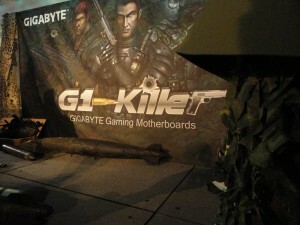 Within 20 minutes of attending my first CES event with Gigabyte, beer in hand I stumbled into an overclocking and engineering discussion with Intel. Pretty cool! 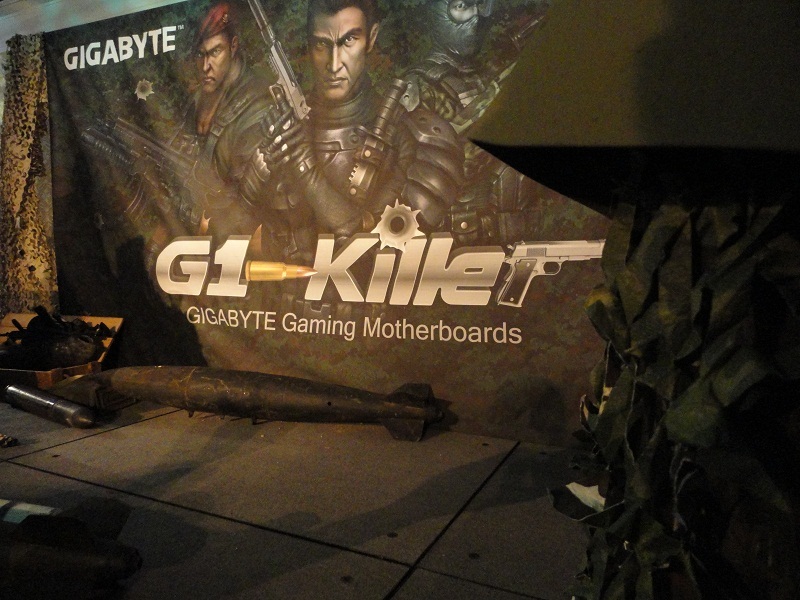 But lets get back to Gigabyte and their highest end G1-Killer series. 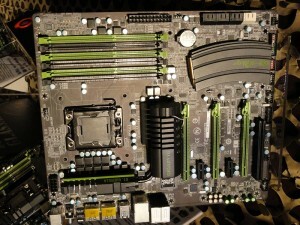 Other than all the high end components you’ve come to expect from high end Gigabyte boards, notable first impressions are an embedded Bigfoot Networks E2100 Killer NIC (the discrete version of this GPU is reviewed excellently here), integrated X-Fi and EAX audio support, as well as a front panel mountable automatic overclock button. 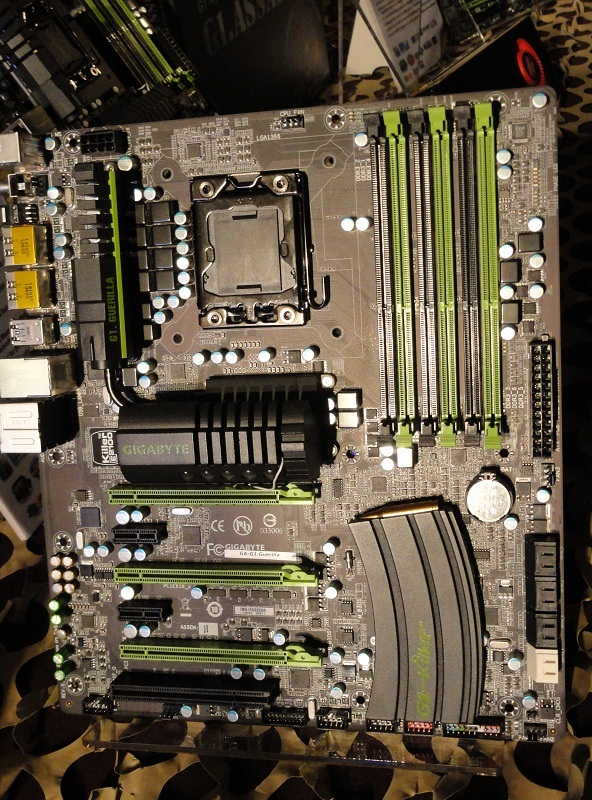 A Gigabyte engineer explained in a side discussion that the button only operates upon the bclock frequency, and hence is able to increase the operating frequency in realtime, without the need to reboot. This also limits the buttons potential to around10-15% reportedly… That may not be enough for some people around here, but an interesting feature I’m looking forward to seeing more details on. With that, its been a long day, and the event is just getting underway tomorrow, so for now I’ll leave you with some pictures I grabbed. 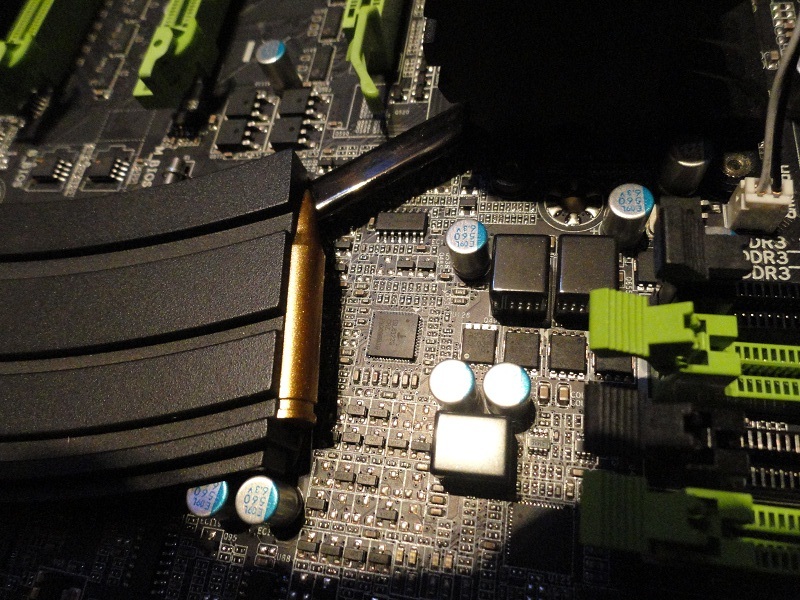 This includes the G1-Guerilla and G1-Assassin, with gun grip styled heatsinks, as well as a “gun clip” sink on the southbridge with a round sticking out the top – very aggressive design with sites set on garnering larger gaming segment market share. 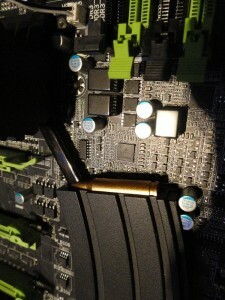 Aside from that, a new friend from HardwareCanucks.com tipped me off to news he heard from Corsair earlier in the day about native Sata 6Gbps SSDs on the way. Judging by the coverage on StorageReview, details are a bit light on that yet. Thats all until tomorrow folks, stay tuned! Also, tablets are big at the show. 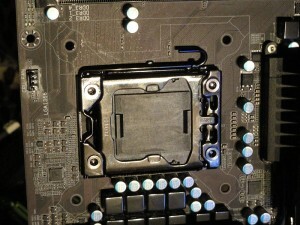 Lots of talk about embedded processors. The Nviida Tegra2 processor is getting a lot of play, with the Motorola Xoom, Asus Eee Pads, and LG G-Slate. The iPad now has a lot of competitors, and dual core tablets appear to be the standard. You got grenades... lucky duck! Dog tags only here. 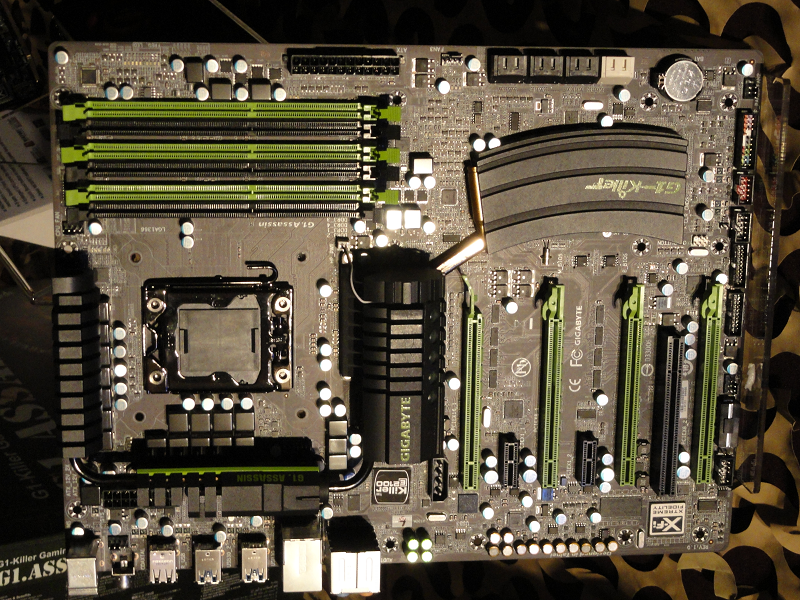 As IMOG said, Boards looked good, and I am glad to see a few 3rd Gen X58 boards released. 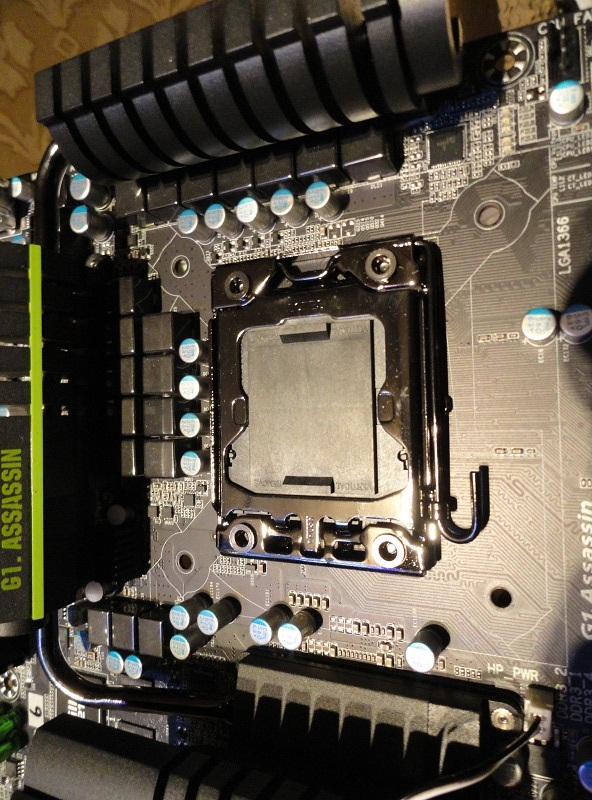 SB is going to be much lower heat output, so X58 and LGA1366 is probably going to be the main socket on our benches for a while longer. But that doesn't mean I don't want an SB system as well. Skinnee, I'm hot on your trail.... stopped by ice dragon cooling shortly after you yesterday, and was at moa after you left. However, I got the time wrong for tonight @ the Palms... arrived 2 hours early, stupid time zones. 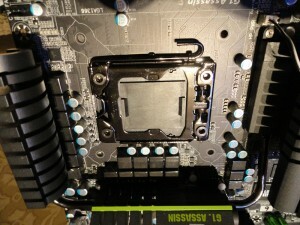 They may know what we do not about lga2011. What's the expected price point on those? They have an ARM architecture, right?